"Being published in magazines and shooting for major Television shows has been such an amazing Journey!" Hello everyone, my name is LaJoy Cox. I am a mother of three beautiful crazy kids currently living just outside of Atlanta GA.
How did I start photography? Well back in high school I thought the photo kids were cool because they were always running around with their cameras. I signed up for class and my love for the darkroom started to grow. I started my business six years ago after losing my biggest supporter, my mother. I wanted to give her a reason to be proud of me and I wanted to help other people save beautiful moments between their family and loved ones. Since starting my business I have been on TV shows, shooting events, weddings and I have been Published and Featured with amazing magazines. My company has grown from the little start up that it was to a serious business that employs other creatives who travel world wide. My children are the biggest reminders for me of just how lucky I truly am. They may keep me from having sleep and eating my food alone and they take over my bed sometimes and make it impossible for me to have mommy time but I love them so much and wouldn't trade my life for anything in the world. I am just your average girl with a great eye for photography that represents the love that people have for one another. If you choose to book with me expect me to tell you about my kids, my family and how my life is just like yours. So "Who am I ?" I am a mom, a friend, a published wedding and portrait photographer, a tomboy at heart and your next photographer. 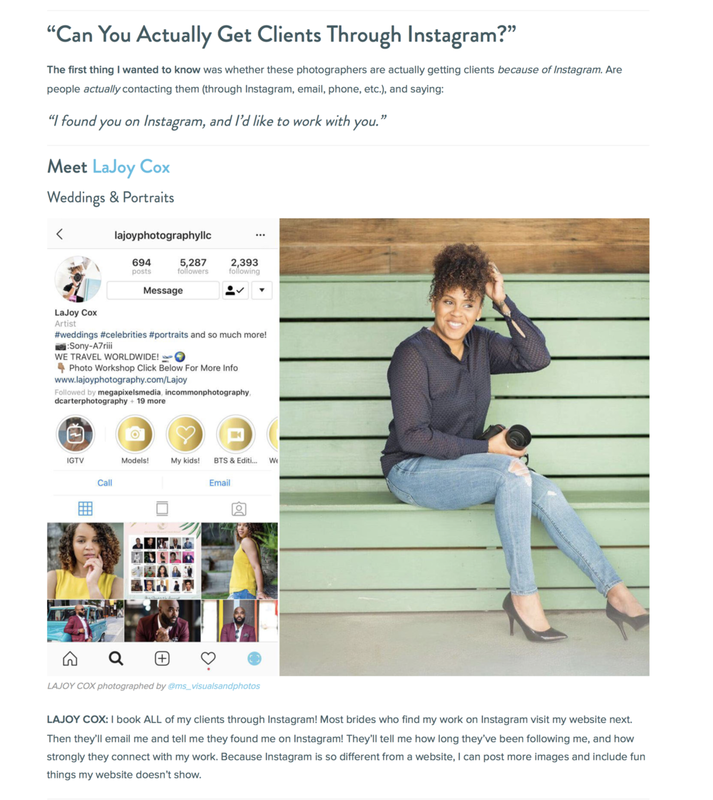 LaJoy has shot the weddings for Season 3 of the TV show Married at First Sight and The TV show Little Women Atlanta, Cake Hunters and The Real Housewives of Atlanta. She has had the pleasure of capturing celebrities like Letoya Luckett, Cynthia Bailey and many more. She has also been featured in blogs and magazines such as Black Bride Magazine, The Knot, Munaluchi Bridal Magazine, Modern Luxury Bride and Natural Hair Bride, just to name a few. She is not just a wedding photographer she shoots a little bit of everything and does a great job! We finally decided it was time to move in a different direction and start hiring more photographers and Videographers. Now we can be in two places at once as well as offer video for Engagement Sessions, Branding and Wedding day coverage. Teko is here to give you the same LaJoy Photography professionalism and amazing images and videos. So head over to the gallery and book us for your session today.